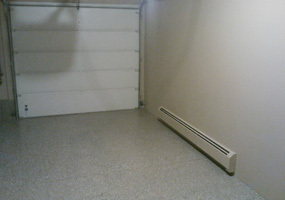 With today’s products, there’s no reason to endure that boring gray concrete floor any longer. Who would imagine it’s concrete? Decorative concrete finishes are a great way to turn dull gray concrete into an attractive surface. We offer epoxy floor coating at an exceptional price. 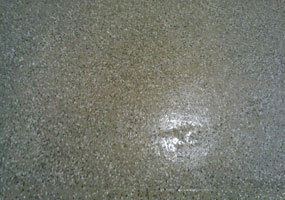 We grind all surfaces to remove oil and contaminants (keeps the floor dry). We fill all seams with a urethane caulking (makes the floor water tight). If the concrete has cracks, we will do the necessary repairs to fill those with the right material.